I am Mane Sargsyan, and I study in Ararat State College. I am a 2nd year student of the “Finances” profession. When I entered this school, I was taken back by the environment and high academic standards. 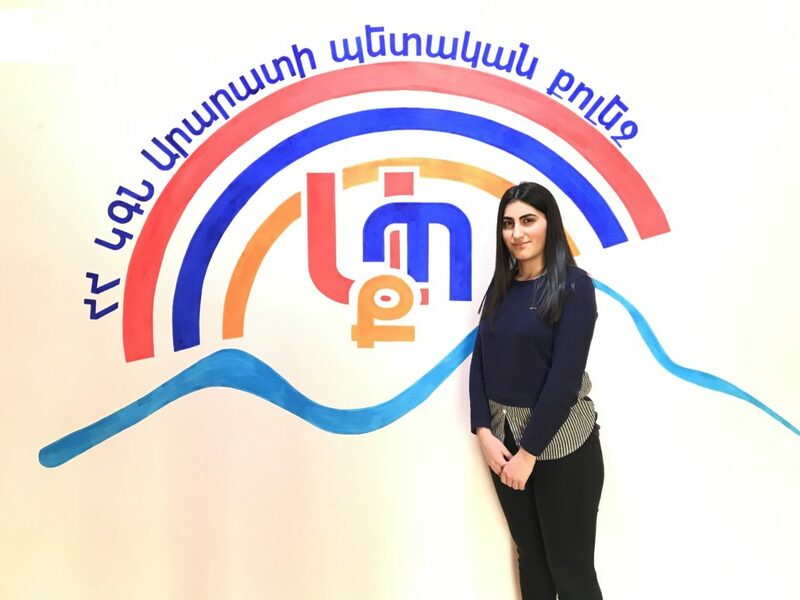 Later, I learned that a huge part of school’s success is attributed to Anoushavan Abrahamian Education Fund, which has sponsored the school from 2004 to this very day. 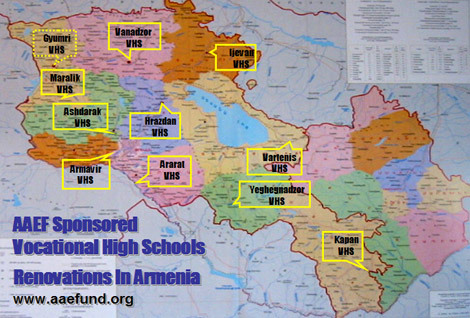 Since 2004, Anoushavan Abrahamian Education Fund carries out various projects in our school. It has established classrooms and workshops for the following professions: cooking and serving, hair dressing, sewing and design and wine-making. With generous donations from AAEF the windows, doors and roofing of our school have been successfully renovated, replaced and restored. Also, AAEF installed a brand new heating system which enables a warm suitable environment inside the school. The restrooms of the school’s main building 3rd floor have been completely renovated. The 1st and 2nd floor restrooms are currently in the process of being renovated again through funds donated by Anoushavan Abrahamian Education Fund. These projects and their subsequent follow up initiatives immensely increased and continue to increase the quality of education in our school. I believe I made a right decision by choosing this school, because a high quality education indeed also depends on the environment and conditions of the school. I would like to express my sincere gratitude to Anoushavan Abrahamian Education Fund. I wish that it continues to prosper and implement such wonderful projects with a long-lasting impact.